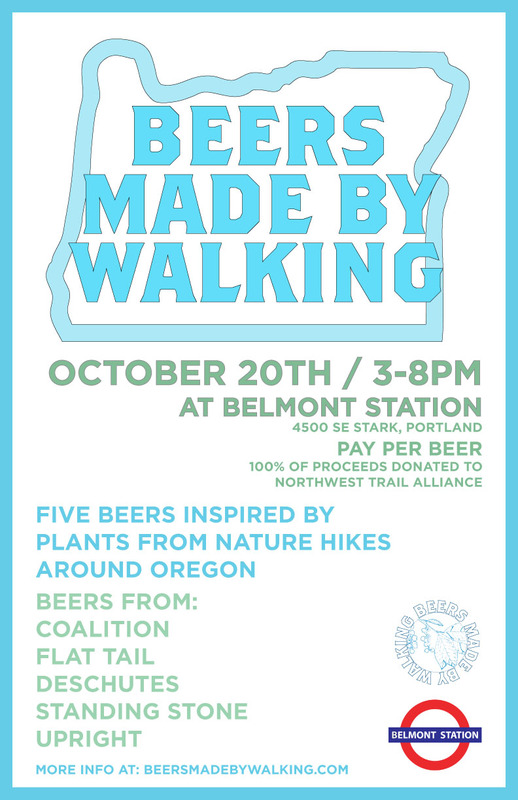 Beers Made By Walking: 5 BMBW Beers in Portland, OR on Oct 20th! 5 BMBW Beers in Portland, OR on Oct 20th! On October 20th, join us as we tap these five beers inspired by hiking trails in different parts of Oregon. The beers will be available together for one night only, from 3-8pm. From 3-5pm you will have the chance to meet the brewers from Coalition, Flat Tail, Deschutes, Standing Stone, and Upright. Visitors will pay per beer and 100% of the proceeds from this event will be donated to the Northwest Trail Alliance.